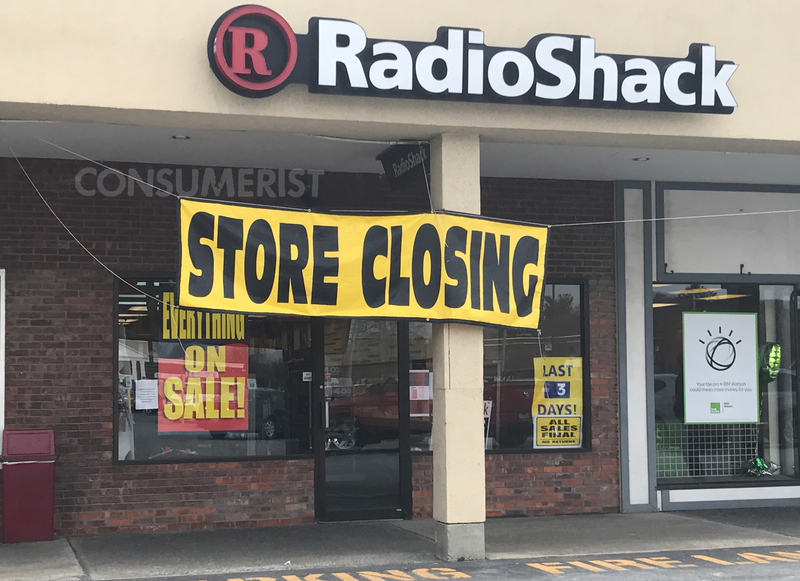 Amid recent rumors that the company that now owns RadioShack is preparing to file for bankruptcy, and scattered reports of store closures around the U.S., we started noticing signs — very literal ones — that the company could be making a concerted effort to shut down stores. 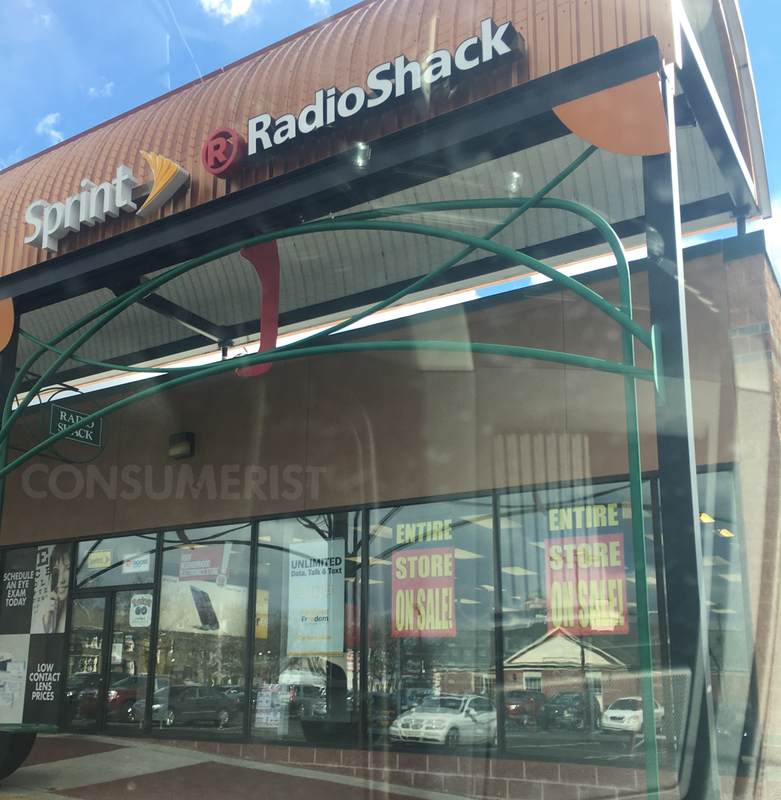 Consumerist’s own Laura Northrup noticed this RadioShack in Delmar, NY. 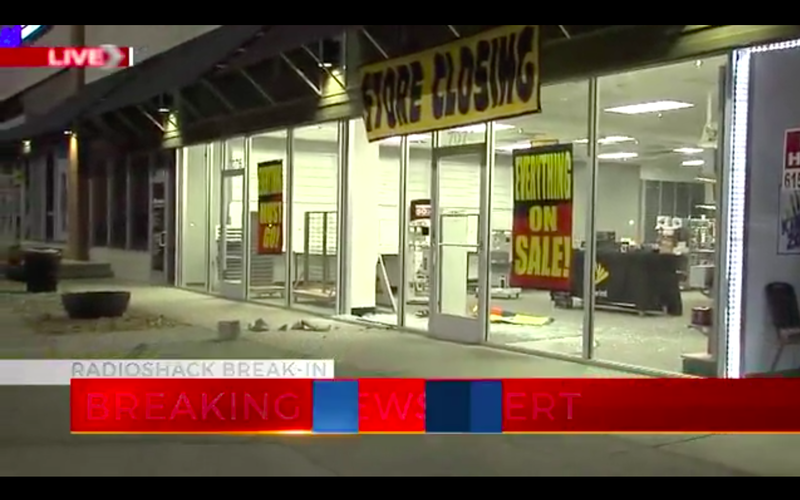 As the large, yellow “STORE CLOSING” sign indicates, this location will be shuttered by midweek. 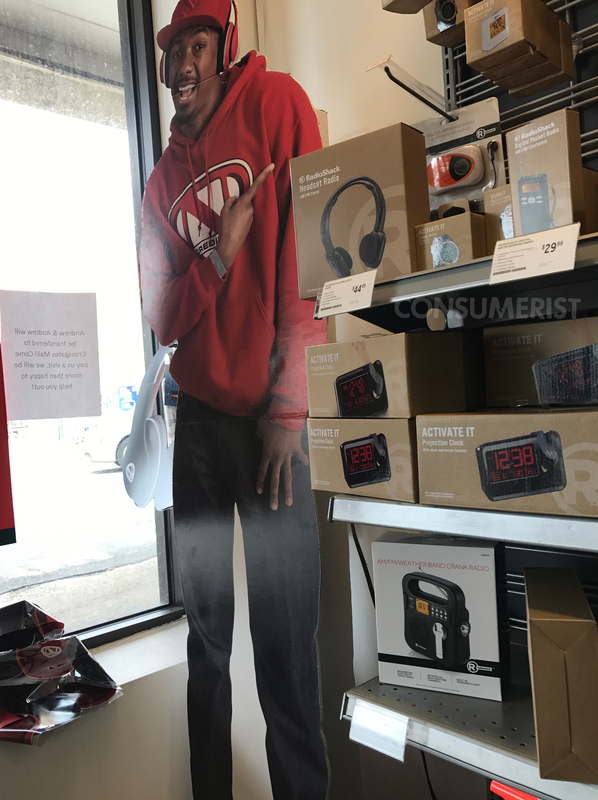 While at the store, Laura said a RadioShack worker complained that he would be “out of a job” in a matter of days, and yet packages are still arriving. 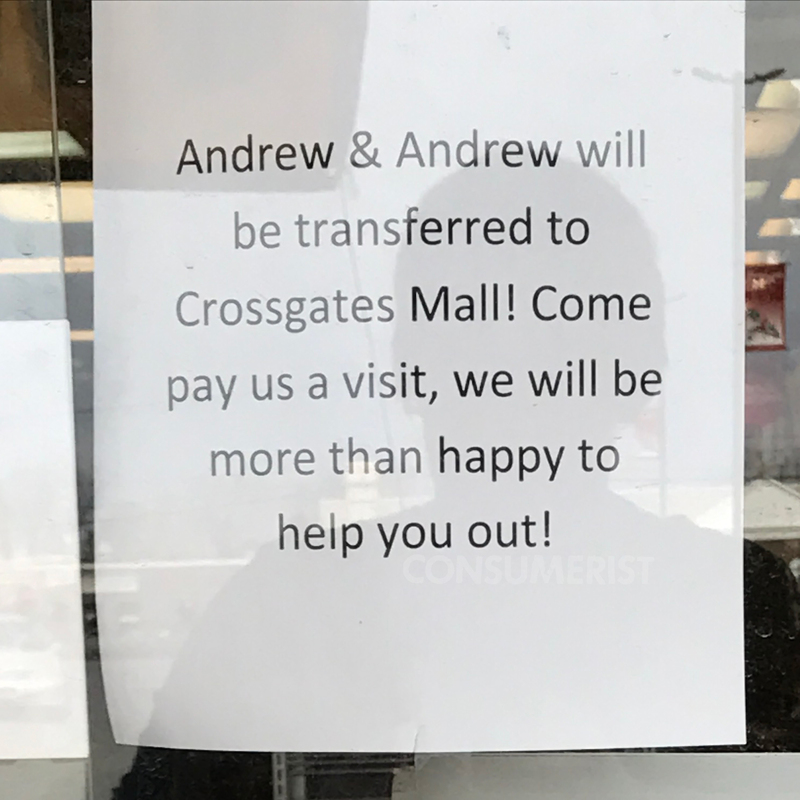 Another sign in the window and sprinkled throughout the store indicated that two store employees would be transferring to another location, which appears to be a Sprint store, as there is no RadioShack at that mall. 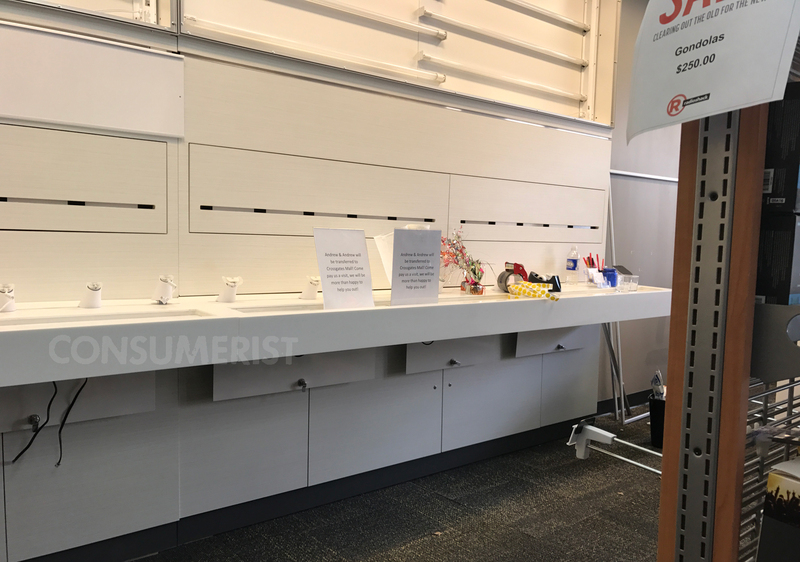 We’ve reached out to RadioShack to ask if the company is shutting down a set number of stores around the country, or if these are isolated closings. We’ll update this post if we hear back. 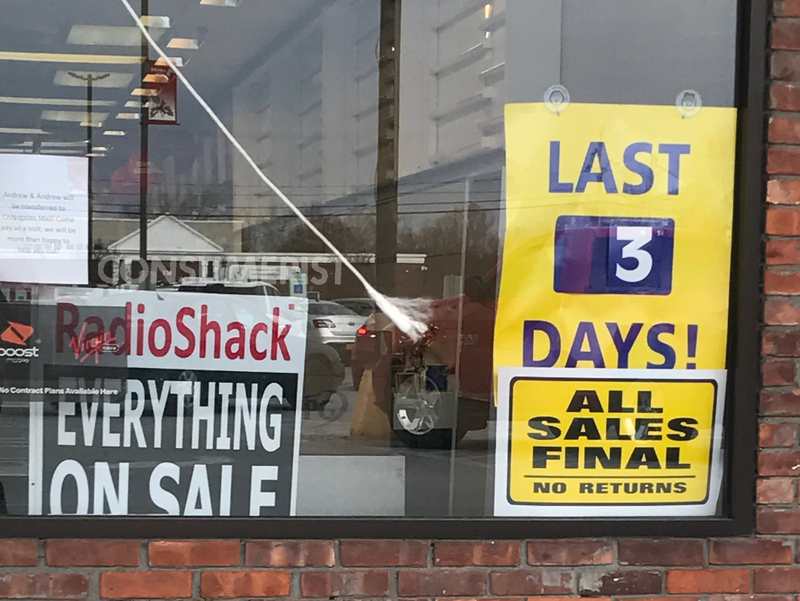 In the meantime, if you spot store closing — or “Entire Store On Sale” — signs at your local RadioShack, let us know where that store is. Even better, take a photo and send it to us at tips@consumerist.com, with the subject line, RADIOSHACK.